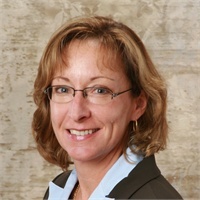 Linda has been advising members of Hanscom Federal Credit Union on investment and retirement strategies since 2005, and she has many years of experience working within the financial institution environment helping individual investors prior to joining the credit union. Linda holds the Series 7 (General Securities), and the Series 65 (Investment Advisor) securities registrations through LPL Financial, along with her Life, Health, and Disability Insurance and Variable Annuity licenses. Linda’s sole responsibilities at the credit union are to work with our members to help them pursue their financial goals. Hanscom Investment Services does not offer proprietary investment products by choice, and so by design Linda can offer high-quality investments and services without the conflicts of interest found at other institutions. Linda is available to meet members at any of HFCU’s convenient locations. Linda loves to work in her garden and to go hiking with her yellow Labrador Tobago.